What a wonderful year 2015 has been for books. It's always hard to choose "best of" when there were so many great books to choose from. 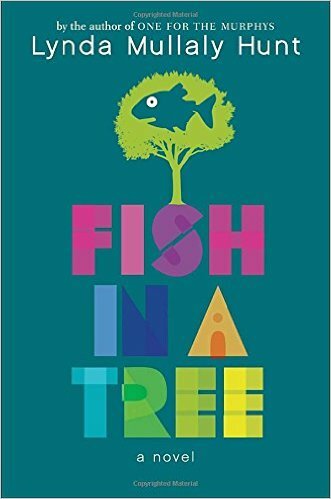 By far and away, the best book I've read of 2015 was Fish in a Tree. I cannot recommend this book highly enough. Ally has dyslexia. But this is a book for anyone who feels like a misfit. It captures so perfectly the pain of not fitting in with kids at school as well as the complete awesomeness when people stand up for others. As it stands, I read 125 books this year and need new glasses because of it. Even still there were so many books I didn't get to read! Thanks to everyone for recommending awesome books to me this year! Hikari's Top 10 2015 Releases in no particular order: . The Mime Order by Samantha Shannon . Favorites I read this year are: Percy Jackson, The Thirteenth Tale, Food Whore, Uprooted, The Grisha Trilogy, China Rich Girlfriend, Attachments, Fangirl, A Court of Thorns and Roses, The Infernal Devices, Ender's Game, These is My Words, The Star Bound trilogy, Legend trilogy. Looking forward to a fun 2016 full of many anticipated books!